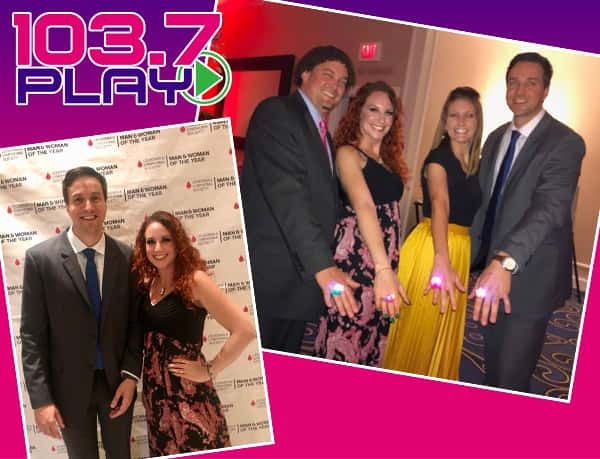 Melissa Chase & Jack 103.7 Play from Play Mornings were so excited to host The Leukemia & Lymphoma Society, Virginia Chapter Gala! The Leukemia & Lymphoma Society (LLS) is the world’s largest voluntary health organization dedicated to funding blood cancer research and providing education and patient services. The night was a success with thousands of dollars raised for a great cause!